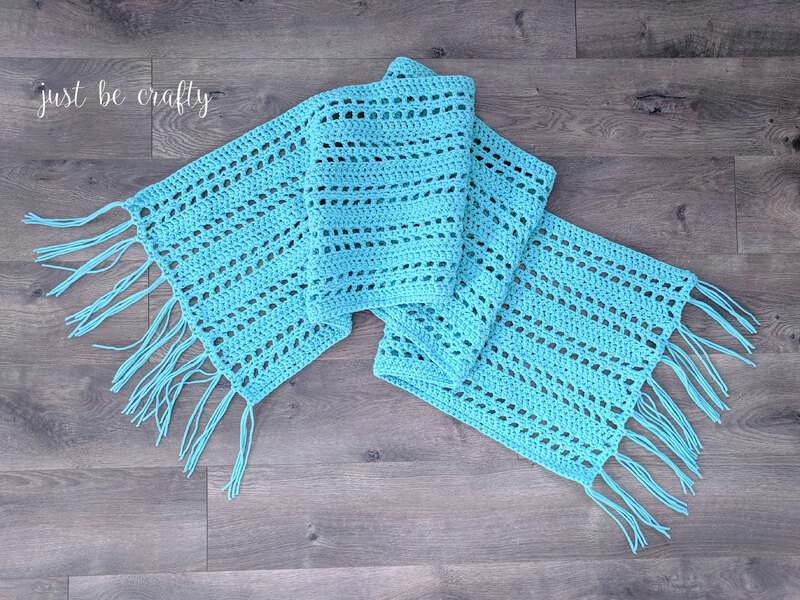 Get ready to jump into summer with this lightweight breezy crochet pattern! The Sunset Beach Wrap will be your go-to piece this summer for days and evenings at the beach! Hello and welcome back to my blog! It’s been a little quiet around here on the blog lately as there has been a lot of stuff going on… but that’s just part of life isn’t it? I do have some exciting news to share though, my husband and I are building a house! Today we met with our builder and went over all the plans and blue prints for our new home, and later this week/early next week they will break ground! I cannot wait! What I really can’t wait for is the fact that I will have my own office – no more yarn all over the house! In the new house, all my yarn and blog stuff will have a home of it’s own and I will [hopefully] not have piles and messes of hooks, needles, and yarn EVERYWHERE! 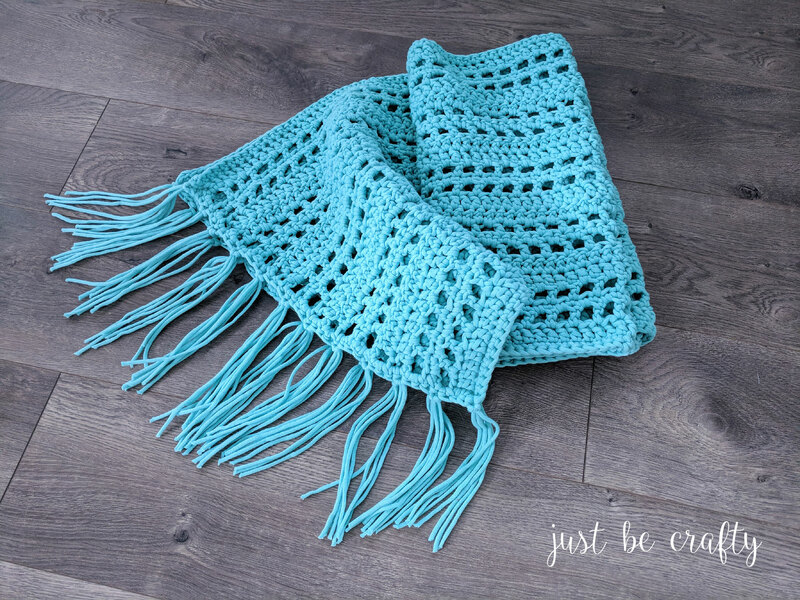 Enough about the new house [for now :)], lets get to the reason you’re actually here… the crochet pattern! 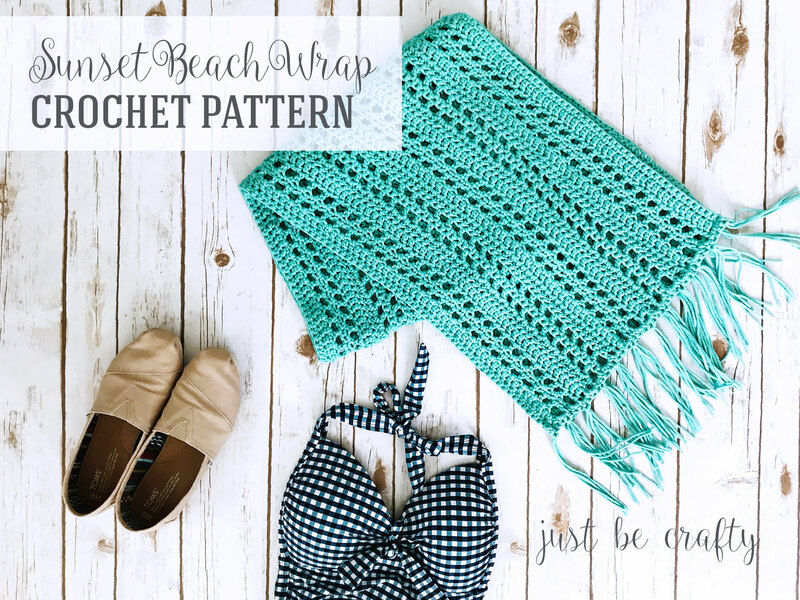 Today’s pattern is the Sunset Beach Wrap Crochet Pattern. This pattern is my first project using Bernat Maker Home Dec yarn, which I believe is pretty much a t-shirt yarn, or at least it feels like it. 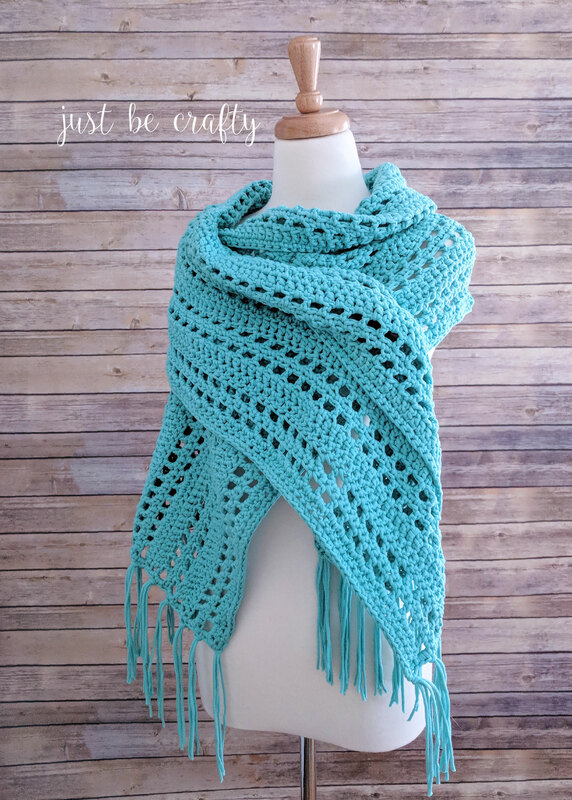 I really enjoyed working with this yarn and think you will too! 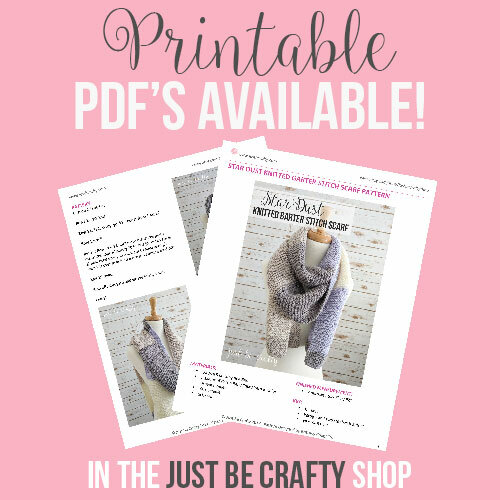 To get started on the pattern, keep reading below! This post contains affiliate links. For more information please see my disclosures page. Row 1: Starting in 4th chain from hook, dc in each ch to end of row, turn. Row 2: ch 4 (counts as a dc and ch 1), sk a st, *dc, ch 1, sk a st; repeat from * to end, make a dc in 3rd ch of previous row, turn. Row 3: ch 1 (doesn’t count as a st) *sc, sc in ch sp; repeat from * to end, make a sc in 3rd ch of previous row, turn. Row 4: Repeat Row 2 up until last dc, your last dc will go into last st.
Row 5: ch 3 (counts as 1st dc), dc in ch sp, * dc in st, dc in ch sp; repeat from * to end, make a dc in 3rd ch of previous row, turn. Row 6: ch 3 (counts as 1st dc), dc in each st across row; last dc will go in 3rd ch of previous row, turn. Repeat Rows 2 – 6, 4 times. Ch 1, and sc across row, make 3 sc in corner stitch, sc 41 stitches evenly across side edge, make 3 sc in next corner, sc along bottom edge, make 3 sc in next corner, sc 41 stitches evenly along 2nd side, make 3 sc in 4th corner, end round by joining with the 1st st of round using a slip stitch. Once finished, the side edges should each have 45 stitches (includes 41 side stitches plus 2 out of the 3 corner stitches on each side). Cut 48, 15 inch strands of yarn. Flip piece so that one of the side edges are facing you. 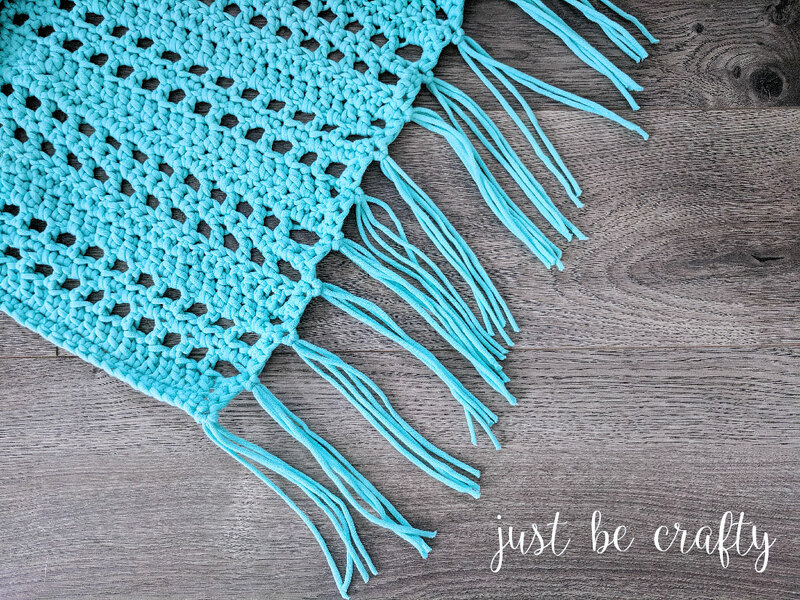 Take 2 strands of yarn and starting in one of the center corner stitches, make a fringe knot using the technique in this tutorial. Skip 3 stitches, and make another fringe knot, skip 3 stitches, make another fringe knot. Repeat this process to the end of the row, ending in the next corner stitch. Flip piece around and repeat the fringe knot process on the other edge. The third row is confusing.. Is it so I’m every st?